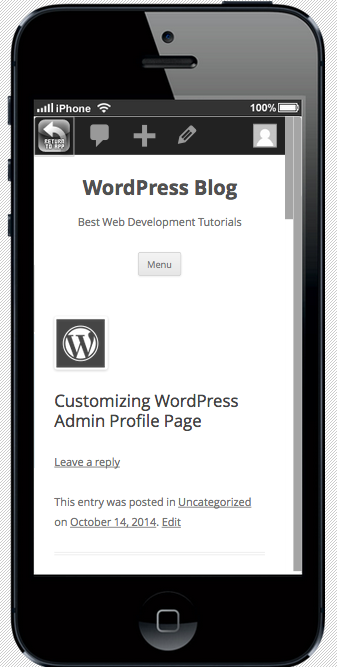 In this tutorial, we will cover how to use WordPress as a backend for a Intel XDK mobile app. We’ll then look at how we can create REST APIs for WordPress so that the Intel XDK app can communicate with WordPress using those APIs. We’re also going to build a simple Intel XDK app which allows users to login and then display a list of WordPress blog posts. Mobile application development solutions like AppPresser, Mobicloud and IdeaPress are limited to creating blog-style apps. 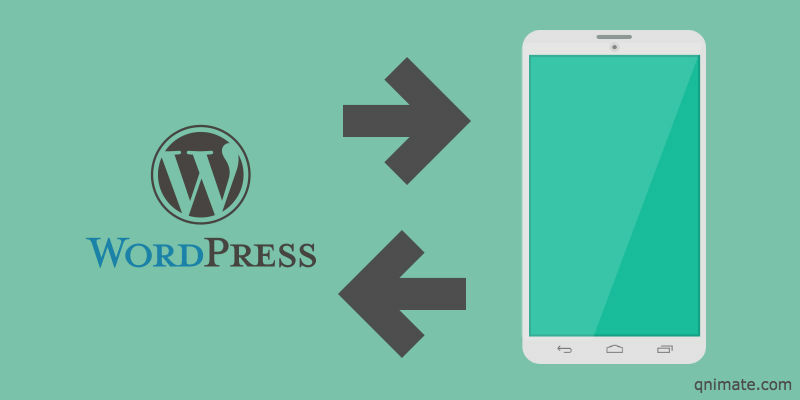 Understanding how to integrate WordPress with Intel XDK will help you to build any kind of app utilizing WordPress as a backend. WordPress actions “wp_ajax_” and “wp_ajax_nopriv_” can be used to create GET or POST REST APIs. A callback attached to “wp_ajax_” is executed if the HTTP client making the request is logged in into WordPress. Similarly a callback attached to “wp_ajax_nopriv_” is executed if the HTTP client making the request is not logged into WordPress. If the user is already logged in the while making an AJAX request using Intel XDK, a user session cookie is automatically sent to the server. In this case “already_logged_in” function is executed. We need to make HTTP requests to “http://[your_domain_name]//wp-admin/admin-ajax.php?action=login&username=your_name&password=your_password”. Here the action is the REST API name i.e., the string name that comes after “wp_ajax_” and “wp_ajax_nopriv_”. Let’s now see how to create a Intel XDK app by using WordPress as a backend. You need to download and install Intel XDK. The Intel XDK app we will building in this tutorial will have the following directory structure and files. “www” directory will be present in your newly created project. Remove all content present in “index.js” and “index.html” file. Put this code in your “index.html” files. 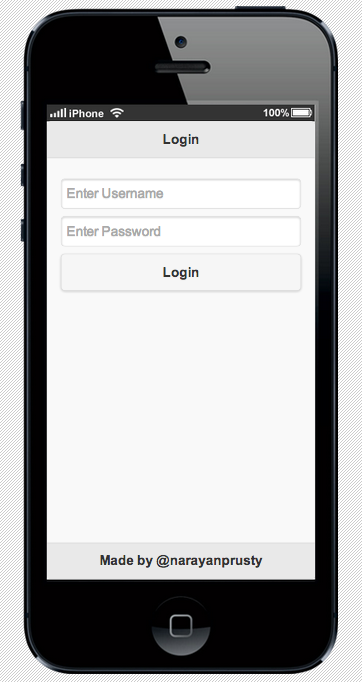 Now we are done with the UI of the app, let’s code the frontend functionality. Put this code in “index.js” file. Here we have three functions. “login” function retrieves the username and password from the form and sends it to WordPress. If the credentials are correct then WordPress sends back a session cookie indicating a user is logged in. Then we call the “fetch_and_display_posts” function which actually retrieves the latest ten posts and displays it in the second page. When someone clicks on a post we call the “open_browser” function which displays the complete article in a new browser window i.e. using Intel XDK InAppBrowser. 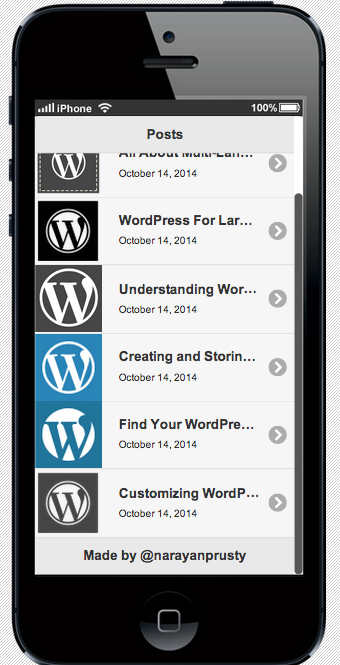 Here are the screenshots of the working Intel XDK App using WordPress. hello, excuse the disorder, but I read your article “intel-XDK-app-using-wordpress-backend” but I can not make it work. I downloaded intel-XDK and wordpress and installed them. I added the plugin WP REST API, but then I have to write about what files wordpress … and that I must write in XDK? Can you give me a hand? It’s great to see someone taking the initiative to share this information, however, I have to question the WP side of this post as I see no evidence that WP is actually working since the IntelXDK project does nothing. I suspect the issue many of us are having is not our abilities in the IntelXDK code or even how to write a function, but our WP knowledge. If the question of “What files in WP will be place the WP functions into?” is answered, this post would get a 100% A+ rating, but this post fails ONLY because this simple answer is not provided. I placed the already_logged_in() and posts() functions I’m my Themes functions.php file and nothing works. Does anyone know if this code is actually working? Still am puzzled on enabling wordpress API on my XDK. does the application run on a local server. I tried to make a connection with my wordpress using the codes but did not have success, appears some errors in index.js and does not make the connection, I am I putting the codes in the wrong place put into the file (wp-admin / wp -ajax.php). I am creating an application that require a login and password. The API Restfull is already established, however, need to create a kind of “session” user in the application created by the XDK, what is the best way to do this? Using HTML5 Local Storage? Have you ever tried wp appkit in intel XDK? Its a new technology I have just heard about it. Its still beta. Planning to check it out once its completely releases. Could you tell the specific WordPress REST API in this page? I have tried several ones and could not succeeded. To be honest with you , I am a newbie to the API world . How can I find the endpoints of this API and finally, how can the API URL be tested with sending appropriate credentials? Where do I put the code in PHP and what Wordpresse Plugin REST API u recommend for me .